No weddings were held last Saturday at the Uptown Arts Bar, but it did rain. And one must take that as a positive omen, considering the circumstances. The bar would open its doors at 6 p.m. Patrons would filter in as usual. But they might notice something different upstairs — a closed door that’s been open every weekend for the past five years. Earlier that day, a group gathered in that small second floor room to dismantle the sound system affectionately named the Meta Hi-Fi — a collection of four subwoofers weighing nearly 300 pounds each, and, when stood upright, matched the height of an adult human. Among the gathered were Ben Dorrell and Brandon Dremann — progenitors of the now defunct Niche KC — and a host of other major players in the space’s storied history, including Peter Anthony and Jeremy Crow of Intelligent Sound, myself and a number of others whose worlds had been indelibly touched by their experiences there. Later, while a soft rain fell on the streets, I sat down for an interview with Dorrell and Dremann on their deck, sipping beers and a supposedly $400 rosé, while heavy metal blared from the living room stereo. Sparing you the gory details, that afternoon an entire nightclub was wrenched from its five-year resting place except for the barstools, the bar, the booze and a pair of lounge chairs. What remained, aside from the aforementioned accoutrement, were memories. It began as an idea in Dorrell’s mind: a sound system that could bend a bass wave the way it deserves. And a club in Kansas City that catered not to the massive throngs of tutued ravers decked in rainbows and candy bracelets, but to a small crowd — a niche crowd that appreciated the deeper, darker, dubbier rhythms serpentining through the undergrounds of electronic music. It was the summer of 2012. Dremann’s friend Brad Rothgeb — a connected KC underground DJ — began chaperoning him around town, giving him opportunities to play house parties. At one of those parties, Rothgeb introduced him to Dorrell, they played a back-to-back set starting with Dremann’s selection of “No More, No Less” by Kryptic Minds, and the friendship was sealed. Not long after, they began discussing Dorrell’s idea. That winter, construction began on the Meta Hi-Fi. By May 2013, the first show took place at the Foundation Event Space with Truth, a duo of California-via-New Zealand dubstep producers who’d released a new album months earlier. Their sound — sinister, soulful, bass-laden — was perfect for the Meta Hi-Fi. After that, Dorrell and Dremann rented the rig out for parties. The first party they did throw, Kansas City liquor control shut it down. 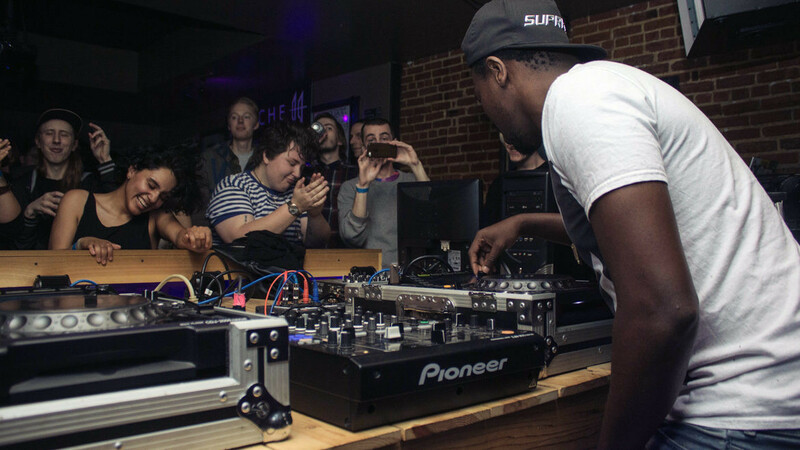 It wasn’t until the Uptown Arts Bar opened and Kansas City Techno’s Todd Howard got his foot in the door with a recurring two-stage event called jux·ta·pose, that Dorrell and Dremann found a safe place for their vision. One of those stages was a 75-capacity dust-filled room with a bare skeleton of a bar and not much else. That vision would eventually bring the space to life under Dremann’s and Dorrell’s direction. After a few dead ends at other venues, Dorrell reached out to then-general manager of the Arts Bar, Jeanette Powers. “By this time I had my pitch more dialed in, and she responded right away,” Dorrell said. That conversation took place in March 2014. A month later, on April 19, a group of KC’s finest underground selectors — including Dorrell, Crow and his group Purusa Studios, Anthony, FSTZ, Larry Curtis and Uun — convened for Meta Hi-Fi Beta, a night spanning the spectrum of underground electronic music. From there, open nights were divided into residencies and Niche was officially open for business. With the exception of a brief removal for a new paint job, the Meta Hi-Fi stayed put at Niche until its removal last Saturday. Looking back, Dorrell said, the Arts Bar provided more than a home for the Meta Hi-Fi. It provided jobs. It connected separate cliques and collectives. It offered a container for thousands of souls seeking refuge in the magic of dance, and a place for DJs and producers to cut their teeth on a world-class sound system. For Peter Anthony, it provided a unique freedom to experiment with events and hone his own vision as an artist, promoter and music enthusiast. “In most venues, having 50 people come to your night is not successful. At Niche, that is a success, and they encouraged you to come back, do more and grow your crowd and network,” Anthony said. It was most likely for that reason — a motive not based in profit streams but in the music and the art itself — that the Arts Bar and Niche ultimately closed. After all, the bar never made any real money. But that model was also why — in its five-year existence, Niche took on an air of the mythical; a church with the Meta Hi-Fi as its altar, and the crowds that gathered there every Friday and Saturday to lose themselves in ecstasy its congregation. It is impossible to know what KC’s underground scene would look like without Niche. The scene as we know it is stronger, more connected and more grounded in a sense of identity, culture and community because of it. Now, with Niche closed and the future of the Meta Hi-Fi uncertain, that collective unit will have to find new ways to keep the spirit of the space alive. Whatever the future holds, one thing is certain: for those fortunate enough to have experienced the magic of Niche — “the floor flexing and everyone dripping in sweat,” the screams of ecstasy and awe rising above the heavy bass frequencies, the massive list of international artists who played there over the years, and the countless lives irrevocably altered by the space itself — we have seen the true power of the underground, of what can come of passion and creating for creation’s sake. And the memories will live on in our hearts, our mixes, our tracks and all the wild electronic events to come in this city. “Niche was our adolescent phase,” Dorrell said. If anything, its closing is nothing more than a threshold, a shedding of a shell that could no longer hold this growing scene. If the past five years have proven anything, Dremann added, it’s that Kansas City “needs a place like Niche,” and that somewhere out there is an empty space, covered in dust and dirt, waiting to be brought to life. 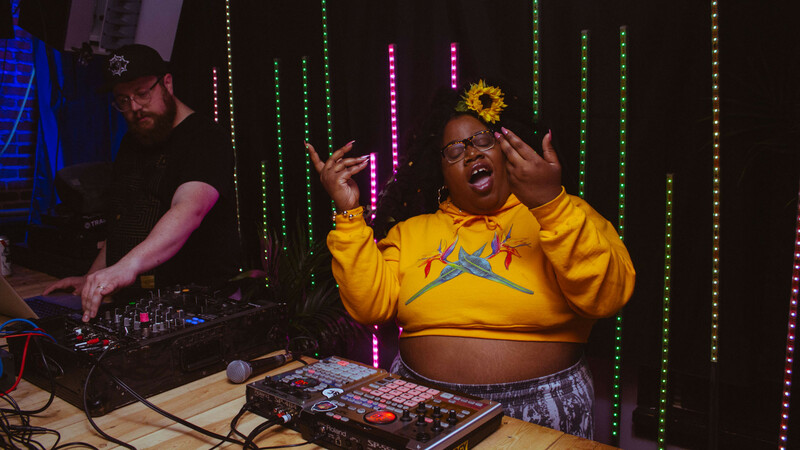 —Zoey Shopmaker is a novelist, music and culture journalist, DJ, producer, rapper and co-founder of the UN/TUCK Queer/Trans Music Collective based in Kansas City. Find her on Instagram @sister_zo for silly memes, unwarranted astrological advice and information on upcoming events.